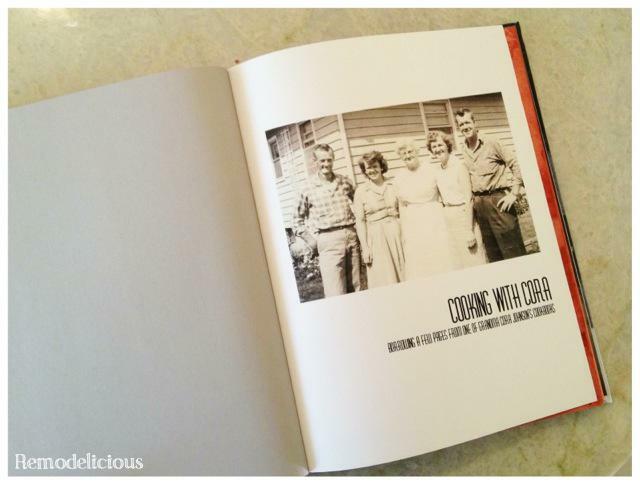 If you order a book from Blurb, please use this link to support Remodelicious. As the member of the family with a History degree and a knack for archiving everything, I often have the honor of holding onto family treasures. 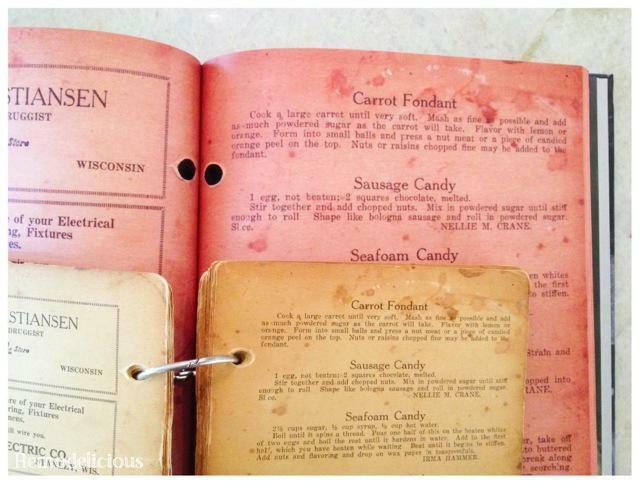 One such treasure was passed to me by my mother along with a note reading “Grandma Johnson’s cookbook, can it be bound?”. “Grandma Johnson” was my mother’s grandmother and the “Cora” that our daughter is named after. I never got the chance to meet her, but I know her well through the many stories that her children and grandchildren have told over the years. 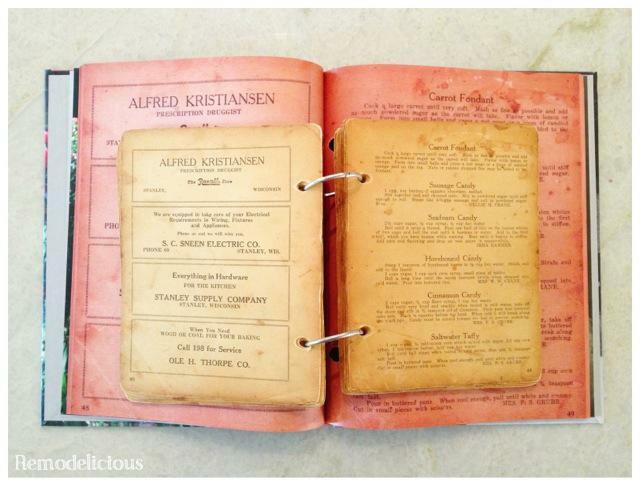 This cookbook may not have been anything special 85 years ago as a church community cookbook, but now after having been loved by a cherished relative, it’s a true family treasure. 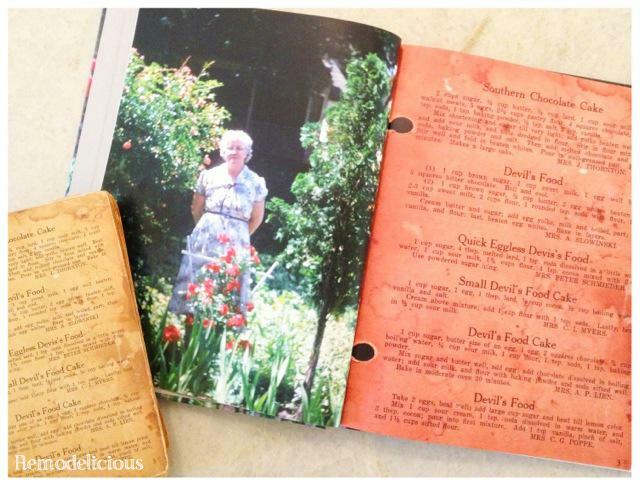 Holding this cookbook, you can picture her flipping through the well-loved pages. 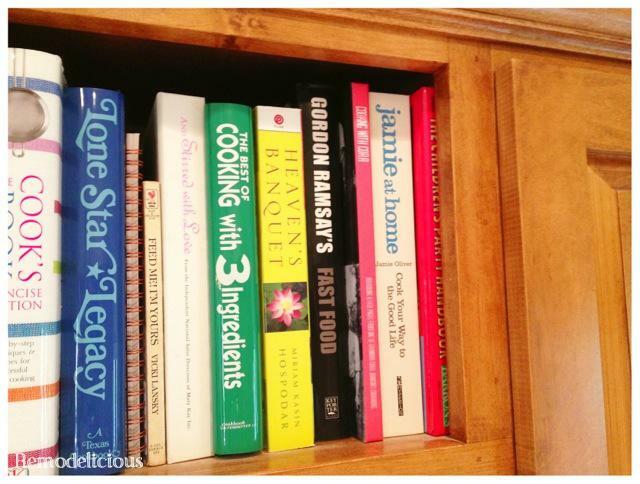 I didn’t have the heart to re-bind the book, which now has its lovingly patinaed int he kitchen falling out. I also didn’t have the heart to keep it all to myself. 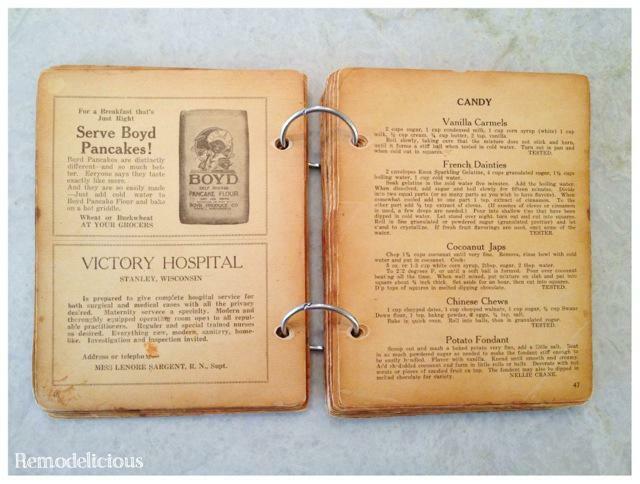 I wanted to share the classic home-cook recipes and nostalgic ads with the entire family. With Mother’s Day coming up, loads of emails were coming in. One was from Blurb, my favorite photobook printer, with a coupon code. Of course, I didn’t need to re-bind the book, I needed to reprint the book as a photo book. 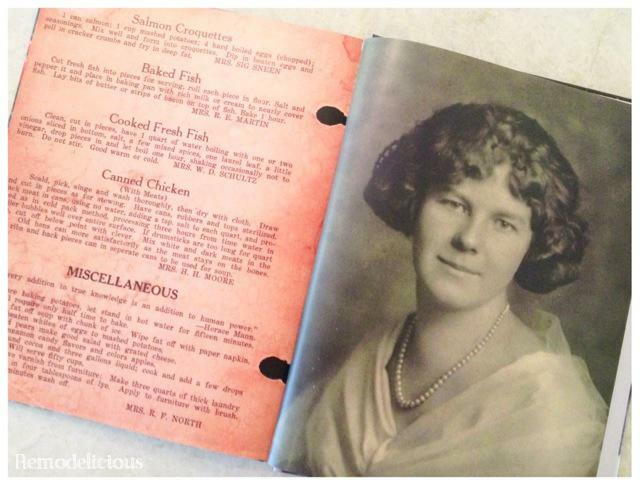 I chose my mother’s favorite photo of her grandmother for the cover. It was one of her the way she remembers her best: standing in her rose garden. 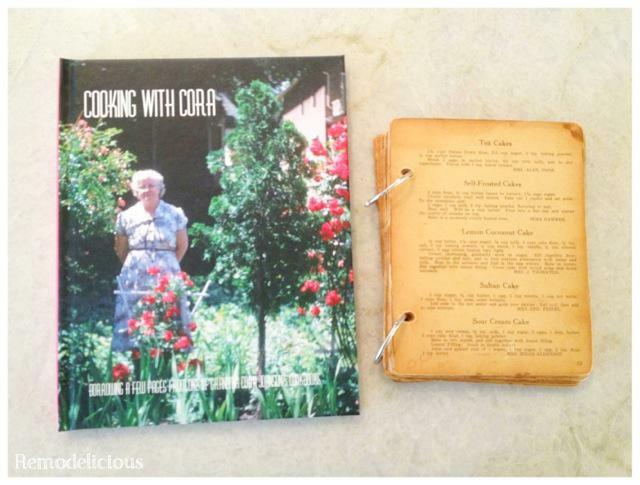 On the back cover, I selected photos of Cora with her family. I continued the photos inside. 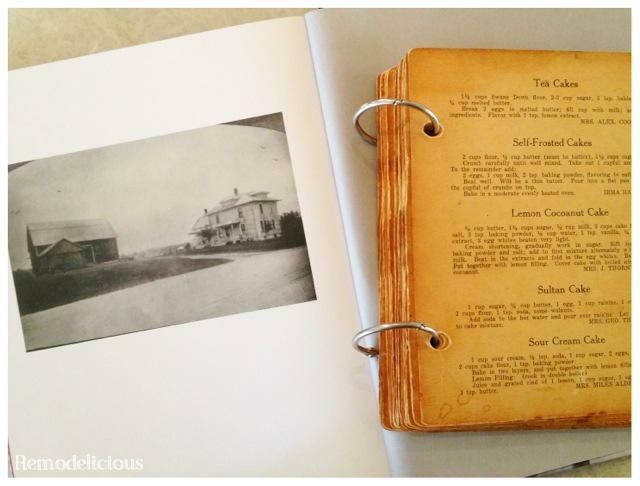 Although it’s a cookbook, this book is much less about recipes than it is cherished memories with loved ones. The title page is a photo of Cora with her children. I carried the cover photo inside again to the first page, this time without any text. This photo had never been printed so large and is a rare color photo of my great-grandmother. I scanned each page and included them in order without editing. I wanted every splatter of oil and flour printed. The color match is more accurate in person that it is in these photos. I did not do any editing for color match and it did end up a bit more pink-ish. It may have been from my scanner or the printing process, or both. 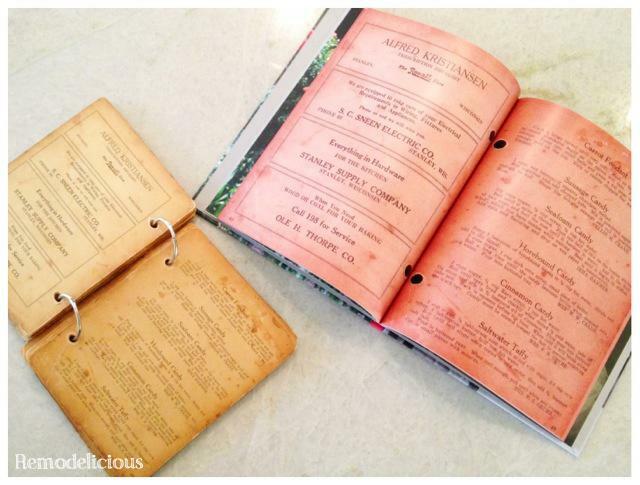 Page by page, I re-created the old cookbook in a way that we could enjoy without destroying the original. Even the splatters came through on the pages she used most. I was careful to crop the pages so that the patina of the edges would print along with all of the text (including page numbers), but without a border (full bleed in printing lingo). There were a couple pages missing. Instead of skip the pages, I used the space to include more photos of Cora. This one, with her husband, is my favorite. At the end, I put a classic portrait as a closing memory. 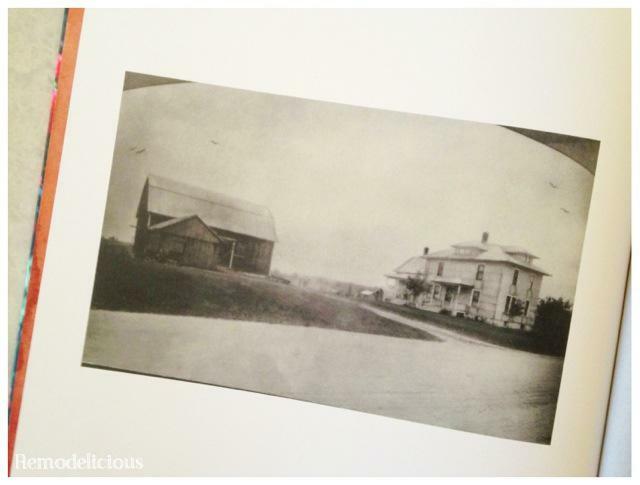 And behind that, I photo of the farmhouse where she once lived. 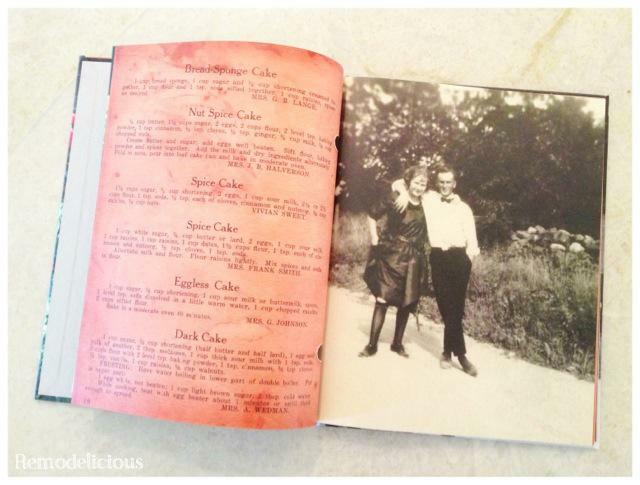 Although I keep the original book tucked away safely out of reach of children, sunlight, and air, we get to enjoy the cookbook as part of our everyday life in the kitchen. After giving a copy to my mother as a Mother’s Day gift, I couldn’t help but order a copy for myself. Another great feature of Blurb is the ability to share a link for others to buy your book, either commercially or as we use it to share memories with family. 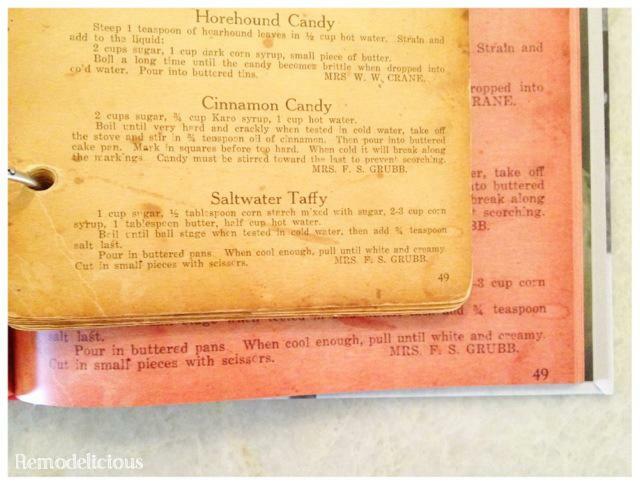 I’d like to do another in the future using handwritten recipe cards and another using another grandmother’s love letters. I’ll add more info on who I use Blurb soon, but I chose them after much trial and error! If you order a book from Blurb, use this link to let them know I sent you. Be sure to check our banner to the right for a current coupon code. Thank you! 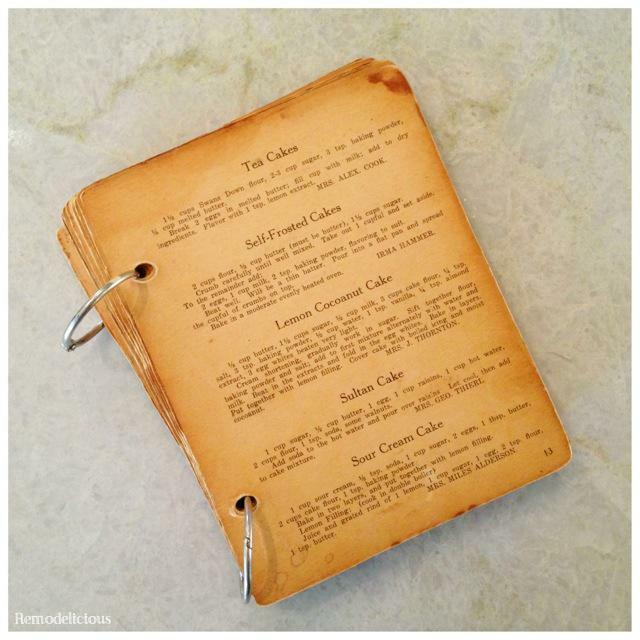 I’m doing a similar project soon and would like to eventually do one with everyone’s handwritten recipe cards.